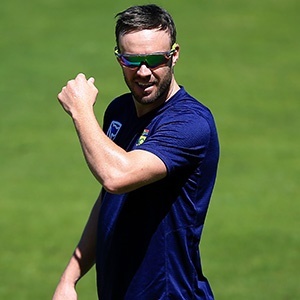 Cape Town - As the Proteas prepare for a summer that sees them host both India and Australia in two massive tours, they are boosted by the availability of AB de Villiers in all three formats. After a break from Test cricket that didn't go down well with everyone, De Villiers has returned. The 33-year-old's last Test was all the way back in January 2016 against England at Centurion. De Villiers made a pair of ducks as South Africa won by 280 runs but lost the series 2-1. What followed was a decision from the then-captain that he needed a break from the game. Test cricket, he said, was getting in the way of his family life. It was a major blow to South African cricket as the Proteas lost one of the most naturally gifted batsman the game has ever seen. Regardless of the merits of that decision, the Proteas marched on and unearthed a new Test leader in Faf du Plessis. They were well beaten in England this year in a series where De Villiers was noticeably missed, but generally speaking the national side has thrived under Du Plessis' leadership. Now, on the dawn of a new Test season, the Proteas must find a way to work De Villiers back into the fold. On the surface, it is a no-brainer: De Villiers must play. But a deeper look suggests that things are a little more complicated. While there has been movement in the Proteas Test side since De Villiers was last present, they now have a relatively settled top order. Dean Elgar has been in superb form at the top and is undroppable right now, while young Aiden Markram is the real deal and one of the brightest prospects in the game. Then comes Hashim Amla, Temba Bavuma, Du Plessis, Temba and Quinton de Kock in the middle order. Amla, Du Plessis and De Kock cannot, for obvious reasons, be left out. So, if De Villiers comes in for somebody in the top six, then the smart money is on Bavuma losing his place. Now 26 Tests into his career, Bavuma averages 32.83 and has just one century to his name. He has, however, saved the Proteas on numerous occasions with some gritty knocks down the order. In truth, Bavuma probably hasn't done enough wrong to deserve losing his place, but what is the alternative? Well, the only other option is to keep all six of the above-mentioned players and then throw in De Villiers too. That would mean De Kock shifting back down to No 7 in the order - a decision that was met with much criticism on the tour of England because of his obvious ability. Going this route would also mean that the Proteas go in a bowler short and they would have to sacrifice the specialist allrounder position. Chief selector Linda Zondi is a man who values the role of the specialist allrounder in Test cricket and he sees it as a crucial way for the Proteas to stay competitive as they unearth the new generation. Andile Phehlukwayo, Chris Morris and Wiaan Mulder are all options here. The other crucial point is that, given how fragile the Proteas fast bowlers have been recently - there are a number of them on the wrong side of 30 - having the extra bowling option could become a necessity. So, what is more vaulable? Having the extra bowler or having an extra long batting line-up? It is unlikely to matter when the Proteas take on Zimbabwe on Boxing Day. There, they could play seven batsmen and still be able to take 20 wickets. There is also the small chance that Du Plessis will not be fit for that match, which will temporarily take care of this selection conundrum. But against India and the Aussies things will be different. Having De Villiers back on our screens over the past few weeks has reminded us just how good he is. He will be a massive player for the Proteas in the coming months. But how the selectors plan to accommodate him is crucially important and will have a serious impact on how the Ottis Gibson era begins to take shape.